For the bride and groom who may have everything, it can be difficult to think of wedding gift ideas that are affordable and inexpensive. Instead of overpaying for chinaware that they may never use or purchasing an impersonal gift card, there are other gifts available that they’ll be able to enjoy more frequently. An appropriate gift to give couples for their wedding is bed sheets, especially if the newlyweds will settle into their home together. 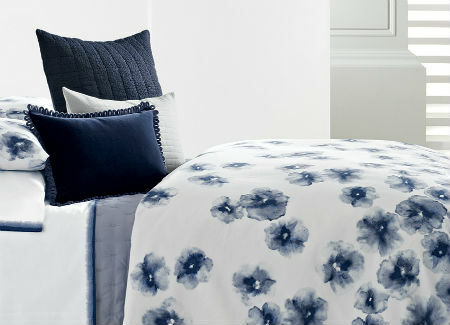 New sheets offer warmth, and enhance the comfort of the bedroom. Another inexpensive gift to give is a picnic basket, which can include a blanket, bottle opener, small cutting board, and utensils. The item is a romantic gesture, especially if you hand make some of the items in it, and it will bring the couple happiness throughout their marriage. For mornings spent together as newlyweds, the couple of the wedding you attend will likely enjoy reading the paper and sipping on fresh coffee at the kitchen table. Enhance their experience with a custom set of mugs that have their initials or a monogram printed for a personalized item that will truly be one of a kind. From luxury bedding sets to customized mugs, it’s important to choose a quality wedding gift that will leave a lasting impression on the bride and groom. It can make for an inexpensive purchase that is specific to the couple’s needs and allows them to settle into their new lives together. — Stephanie Lichtenstein Ramos is the representative for BeddingStyle, an online destination for designer bedding and accessories for the bedroom. Bracelets make great fashion statements, especially around summer time. But they can also be worn all year round provided that they are paired with the right outfit and style. 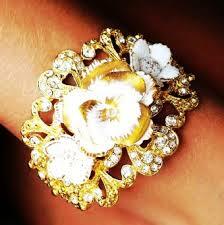 The thing about bracelets and jewelry in general is that you would not want to wear something common that everyone has. In order to make a statement, you might be looking for something unique and crafty. If you are looking for one-of-a-kind bracelets, you might consider choosing a designer piece at a jeweler’s shop. You would be certain of finding a unique piece that would be worn by you only. The downside to this is that unique designer pieces come with a huge price tag. If it’s for your wedding or any other special occasion, then the price tag could be worthwhile. If you are looking for unique pieces for your everyday wear or to gift to friends for their birthday, you might consider making your own jewelry. DIY jewelry projects are fun and would allow you to be creative. You can make use of beads, stones and other jewelry findings to craft bracelets and other jewelries to suit your outfits. If you are looking for elegant bracelets for work and to complement your party wear, you might opt for Swarovski crystal beads. Bracelets made out of Swarovski crystals generally look classy and are great for night-time events. DIY jewelry pieces also make for great gifting ideas. Too Cute Beads is an online store selling beads as well as earring kits for DIY jewelry projects.